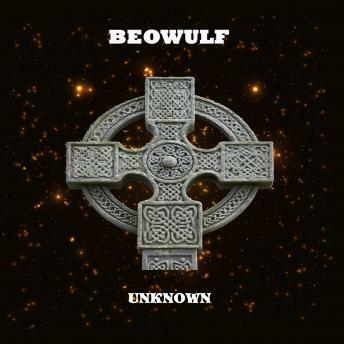 "Beowulf" is the conventional title of an Old English heroic epic poem consisting of 3182 alliterative long lines, set in Scandinavia, commonly cited as one of the most important works of Anglo-Saxon literature. It survives in a single manuscript known as the Nowell Codex. Its composition by an anonymous Anglo-Saxon poet is dated between the 8th and the early 11th century. In 1731, the manuscript was badly damaged by a fire that swept through a building housing a collection of Medieval manuscripts assembled by Sir Robert Bruce Cotton. The poem fell into obscurity for decades, and its existence did not become widely known again until it was printed in 1815 in an edition prepared by the Icelandic-Danish scholar Gramur Jansson Thorkelin. In the poem, Beowulf, a hero of the Geats in Scandinavia, comes to the help of Hroðgar, the king of the Danes, whose mead hall (Heorot) has been under attack by a being known as Grendel. After Beowulf slays him, Grendel's mother attacks the hall and is then also defeated. Victorious, Beowulf goes home to Geatland in Sweden and later becomes king of the Geats. After a period of fifty years has passed, Beowulf defeats a dragon, but is fatally wounded in the battle. After his death, his attendants bury him in a tumulus, a burial mound, in Geatland.